Music can bring people together. Whether in a concert hall, an outdoor stadium, or kani ka pila at home, music has the power to turn strangers into friends. It can comfort us during times of grief, make us get up and dance, lift our spirits when we’re down, and even help mend a broken heart. Here are four groups of people who share a love for music that keeps them together. Attorney Andy Char doesn’t have to make a case for why bluegrass music is good for body and soul. 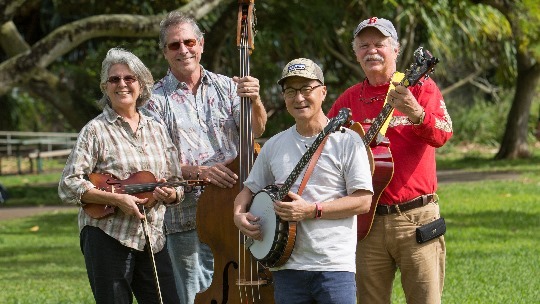 Char looks forward to playing the banjo and fiddle during monthly jams with fellow Bluegrass Hawai'i members at Ma-noa District Park. 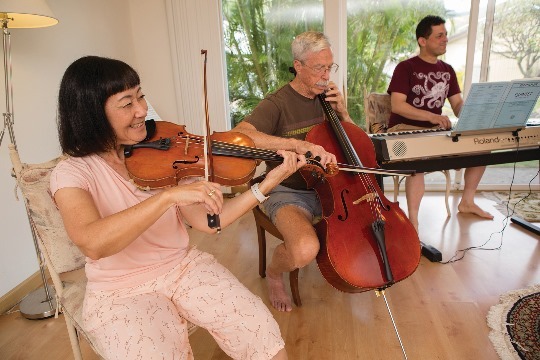 Bluegrass Hawai'i members often take their toe-tapping music on the road to the delight of patients and residents in hospitals and care homes. 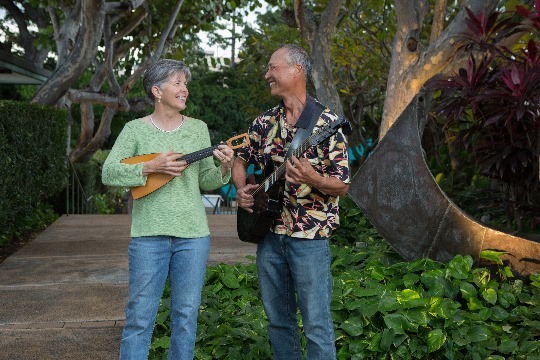 The group’s largest event will be a music camp at Ho'omaluhia Botanical Garden, April 26–29, called Bluegrass in the Ko'olaus. Bluegrass lovers immerse themselves in the music into the wee hours of the night. The twice annual music camp attracts bluegrass players from as far away as Alaska. The support that Daniel Kam gets from the local music community has set him on a course that could last a lifetime. 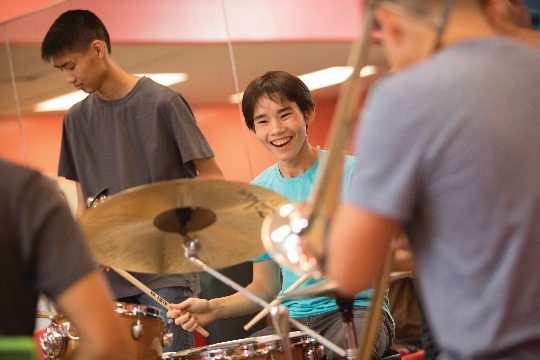 But his music teacher, Edwin Ho, encouraged him to stay with it and audition for the Hawaii Youth Symphony (HYS), where he played percussion for five years. Then local jazz bassist Dean Taba encouraged Kam to audition for the HYS’s jazz program, The Combo. Kam says playing in The Combo has raised his playing to a higher level. The guidance and support Kam receives from mentors and fellow student musicians have given him the confidence to pursue a music career. A senior at Roosevelt High School, he’s now applying to music colleges on the Mainland. Michael Nassir isn’t religious, but classical music has been his salvation. Dentist Randy Kam doesn’t have to pull teeth to get a Hawaiian-style band together. The chalangalang of the 'ukulele and nahenahe slack key tunes have attracted friends and 'ohana for kani ka pila to kick back and relax after work. Kam and his wife, Leslie Brey, organize the monthly pau hana at The Pacific Club in downtown Honolulu. No matter if you’re a novice or been playing for years, all’s welcome. Even local entertainer Danny Kaleikini dropped by one night. Kam fondly remembers Hawaiian music as the center of family lu-'aus and funerals. Much of the music they play is grounded in family roots—from grandma’s favorite song to music an uncle used to play. Some of them even showed up unexpectedly to play for Kam’s mom in hospice. “That’s real local style to care for one another,” he says.